We know that different personalities prefer different images and messages in ads. Personalizing ads based on personality can yield a high return on your marketing investment. On a larger scale, different personalities also prefer different websites. Let’s take a look at a study of Internet users’ personality traits to discover how personality affects which websites people find appealing and visit frequently. In 2012, Dr. Michal Kosinski and Dr. David Stillwell from the University of Cambridge and Pushmeet Kohli, Yoram Bachrach and Thore Graepel from Microsoft Research released results of a study of more than 160,000 Internet users’ personality traits. The study examined how users’ personalities affect their online behavior. The researchers measured personality via myPersonality, a Facebook application that offers its users personality assessments and feedback on their scores. Once users completed the personality assessment, they had the chance to opt in or out of releasing access to their “liked” information as part of the myPersonality app. This allowed researchers to measure preferences for websites in two ways. First, they asked 10,897 participants to report on which relatively popular websites they visit by filling out the WPQ (Website Preference Questionnaire). Secondly, they were granted access to the specific pages that participants “liked” on Facebook. By combining the results of the personality assessments with visitors’ favorite websites, researchers were able to draw personality profiles of websites’ audiences. Let’s look at the website deviantart.com as an example. 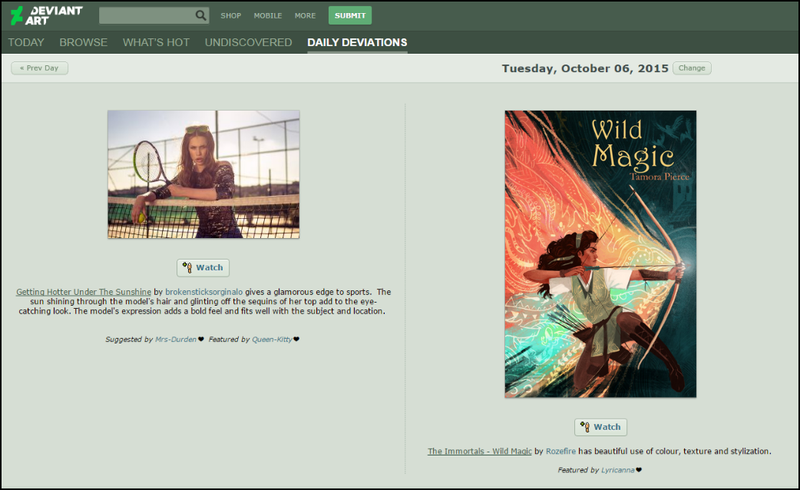 The audience of the deviantArt online community website consists of alternative art enthusiasts and artists. The researchers found that deviantart.com attracts an audience that tends to be liberal and artistic rather than conservative and traditional (i.e., high Openness), spontaneous and flexible rather than well organized (i.e., low Conscientiousness), shy and reserved rather than outgoing and active (i.e., with Extraversion) and emotional rather than calm and relaxed (i.e. high Neuroticism). The findings were consistent between the Facebook “likes” and self-reported website use. OCEAN stands for the Big Five personality traits — Openness to experience, Conscientiousness, Extraversion, Agreeableness and Neuroticism. Overall the researchers found that people high on Extraversion frequent websites related to music and Internet (the category that contains Facebook and Twitter), while Introverts prefer websites related to comics, literature and movies. Personality affects preferences for websites and online behavior. Marketers can benefit from knowing what kind of personalities their websites are attracting and personalize content or services, product recommendations, search results and suggested websites based on this information.